After an 11-year absence, the Bolshoi Ballet returns to Milan. In 2007, the company came with La Fille du Pharaon and The Bright Stream. From 7 to 13 September they will be at La Scala with La Bayadère in the Grigorovich production, and Jean-Christophe Maillot’s The Taming of the Shrew. Svetlana Zakharova and Denis Rodkin, Olga Smirnova and Semyon Chudin, and Alyona Kovalyova and Jacopo Tissi will dance Nikiya and Solor; Ekaterina Krysanova, Margarita Shrainer and Olga Marchenkova will be Gamzatti; and Vyacheslav Lopatin will be the Bronze Idol. Beginning in 1964 a regular series of cultural exchanges has resulted in La Scala visiting Moscow nine times, and the Bolshoi coming to Milan 7 times. The company have only been twice on La Scala’s stage however: in the autumn of 1970, they brought Swan Lake, Spartacus and The Nutcracker to La Scala with casts including Maya Plisetskaya and Vladimir Vasiliev; then in October 1973 the Bolshoi toured to Milan with five operas and the ballet Anna Karenina. The very word ‘bayadère’ evokes notions of sunshine, perfume and beauty even to the most prosaic and bourgeois mind… and through the pale smoke of burning incense appear the unfamiliar silhouettes of the East. Until now bayaderes had remained a poetic mystery like the hours of Muhammad’s paradise. They were remote, splendid, fairy like, fascinating. 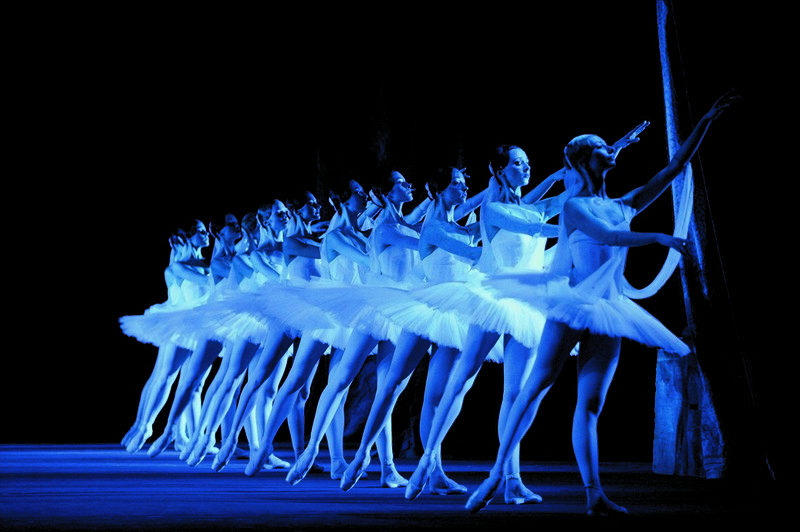 La Bayadère was first staged in 1877 by French choreographer Marius Petipa to the music of Ludwig Minkus at the Bolshoi Theatre in St Petersburg. Nikiya was created by Ekaterina Vazem, Solor by Lev Ivanov, and Gamzatti by Maria Gorshenkova. Petipa’s final revival of the ballet was in 1900 and about 1905 it was recorded by Stepanov notation and is part of the Sergeyev Collection. The ballet wasn’t seen in the West until 1961 in Paris when the Kirov Ballet was on tour. Two years later, Rudolf Nureyev staged The Kingdom of the Shades for the Royal Ballet with Margot Fonteyn as Nikiya. Minkus’s music was re-orchestrated by the Royal Opera House’s conductor John Lanchbery. Only two years after his ‘leap into the West’, Nureyev is already stimulating the Royal Ballet, he is helping all the dancers progress and he inspires our prima ballerina assoluta – Margot Fonteyn – who has a complete mastery of her technique that she had not yet revealed; he has encouraged a new spirit of competition among the soloists. With this Act III of La Bayadère, Nureyev offers us a little-known ballet that is well worth discovering, a major classic to cherish and – just as important – he has taught us how to dance it. The famous variation for Solor in the Act 4 Grand Pas d’action was originally composed by Minkus for Petipa’s 1874 revival of Jacques Offenbach’s and Marie Taglioni’s two-act ballet Le Papillon. Minkus composed new music for this revival, expanding the ballet from two acts to four, and one of the new compositions was a variation for the lead male role, Prince Djalma. This variation later became the famous Variation of Solor in Petipa’s 1900 revival of La Bayadère when Nikolai Legat interpolated it into the Act 4 Grand Pas d’action and it has remained Solor’s variation ever since. Today, the Grand Pas d’action is traditionally danced in Act 2 where it was transferred to by Ponomarev and Chabukiani in their 1941 revival. The traditional variation danced by Gamzatti in the Grand Pas d’action in modern productions today is not the original variation composed by Minkus. It is actually a variation composed by Riccardo Drigo for Queen Nisia in the Pas de Vénus from Le Roi Candaule. The famous traditional choreography for this variation that is commonly danced today is by Pyotr Gusev. 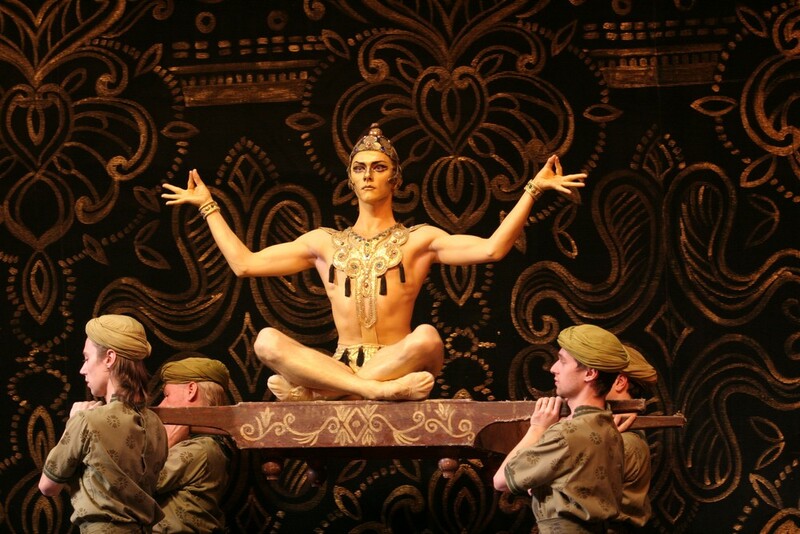 The Dance of the Golden Idol that is traditionally danced today was not created by Petipa but by the Russian dancer Nikolai Zubkovsky in 1948 for the Kirov production. Like the music for Solor’s variation, the music for the Golden Idol’s dance is also taken from Petipa’s 1874 revival of Le Papillon – it is a Persian march that Minkus composed for the revival. Interestingly, the music is not even a march, but a waltz in 5/4 time. In the 19th century, composers used the 5/4 time signature when they needed to portray ‘the exotic’. The Entrance of the Shades was inspired by Gustav Doré’s illustrations for Dante’s Paradiso from The Divine Comedy. Each of the 32 dancers made her entrance down a long winding ramp with a simple arabesque cambré, followed by an arching of the torso with arms in fifth position, followed by two steps forward. With the last two steps, she made room for the next dancer, and the combination would continue. How European Ballet would have evolved if Nureyev had not defected and stayed over in Paris in 1961 and continue his career as a dancer and choreographer of some of the most important romantic ballets? The program looks very beautiful, with great dancers, but for me it will always miss Igor Tsvirko, who was beautiful !!! I think I’m not the only one to regret leaving !! He is really very good … Will he continue dancing? I hope !!! You mention the 3 couples for Bayadere but don’t specify their specific dates (7/8/10 Sept). Do you know the specific casting by date? If so please detail the casting by date or please email it to me. Do you know the casting yet for Shrew? Hello. I’m afraid that the casting hasn’t yet been announced. I don’t think it will be for another ten days or so. Sorry I can’t help. Thank you very much. When you know the by date casting please can you kindly post it here or email it to me.